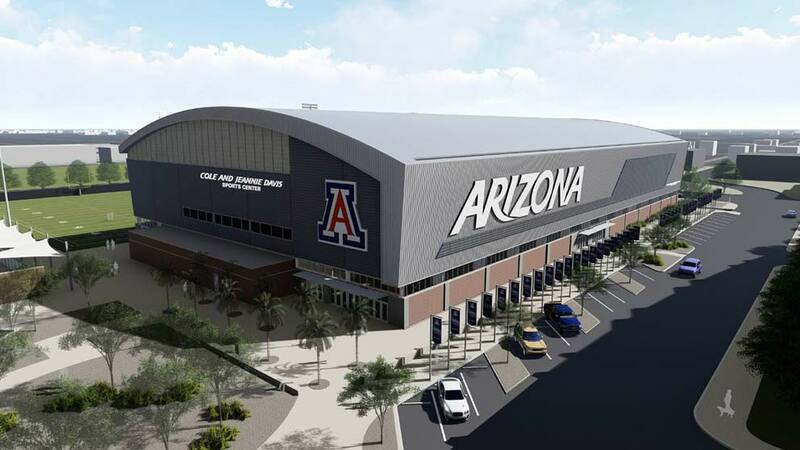 The Indoor Sports Center currently under construction as a part of the Arizona Athletics 4+1 Capital Campaign will now be named the Cole and Jeannie Davis Sports Center. Earlier this month, Cole and Jeannie Davis committed $8 million toward the climate-controlled multipurpose facility located on the former site of Kindall-Sancet Stadium. The Cole and Jeannie Davis Sports Center will be used as a training and practice facility for a variety of athletic programs, and will also serve as a football game-day hospitality area. "Our passion in Tucson is helping young men and women aspire for greatness and achieve their dreams. Student-athletes at Arizona compete at the highest levels as part of a team, strive for success in the classroom and aim to make a difference in our community. We want to make a positive impact on the experience of all the exceptional student-athletes at this great university as they pursue their dreams and become future leaders," said Cole Davis. Construction of the Cole and Jeannie Davis Sports Center is expected to be completed in January 2019. To read more on the Davis gift and the Sports Center, click here. 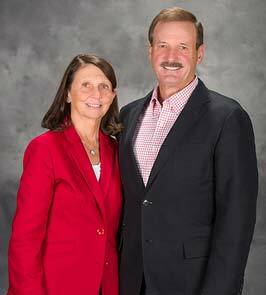 Arizona Athletics would like to sincerely thank the Davis' for their generosity and longstanding support! Tell us how you got into event management/facilities/operations, specifically in athletics. During my time in college, I worked concessions, I worked on the golf course...that's when I first dabbled. Once I graduated college, I knew I wanted to do something in sports—I had grown up in a sports family and I played basketball in college—so I took a sports marketing job right out of college that I ended up not liking at all. I did that for about six months before I decided to go back to school to get my Masters of Science in Sports Administration. That's what brought me to the University of Arizona. 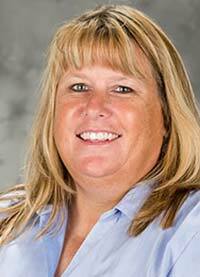 Shortly after I started my master's, I came to Arizona Athletics and started to pass out my resume. I began as an intern, then I joined the staff part time still as a student and finally full time once I finished my master's. I started out working in events, and then I worked for the business office for a while before returning to events. What does a typical football game day look like for you? Football requires a lot of prep the day before. You have to get a lot of people set up—there's catering, concessions, TV/media, we have to check our facilities, we make sure police and security dialed in. If your preparation is solid, game day should run smoothly. Proper preparation also allows you to focus on fans the day of. That includes focusing on traffic patterns, making sure fans can access the stadium easily and in a timely manner, and making sure amenities are functioning properly. On game day, I tell my staff that we are firefighters—we are there to put out the fires. Everything else should be taking place prior to game day. What does a regular/non-game day look like? Every day is different. I like to say that life is like a box of chocolates—you never know what you're going to get when you walk in, and that's the good part, it's never boring. When I first get here I try to sit down and get through some emails and prepare for my day. I'm usually in a lot of meetings—with staff, with designers and contractors…depends on the day. There's a lot of scheduling and preparation that takes place throughout the week. What's one of your job duties that people maybe wouldn't expect? What do you find to be the most exciting part of your job? Watching our teams win. We have almost 500 student-athletes and even though I'm not a parent to any of them, they are our kids. We want them to be as successful as they can be, we want them to take advantage of every opportunity, we want them to grow up and be productive members of society. I watch any event that I can whether in person or on TV. I love watching those kids live out their dreams and seeing them win is a great feeling. Aside from the 4+1 Capital Campaign projects being worked on right now, what other renovations have recently taken place or will soon take place? We have a lot of things in progress. Some projects people may not be as familiar with are for example the tennis courts—we have to redo the court surfaces this December. A project we recently completed that I think was a lot of fun to see come to fruition was the Beach Volleyball facility. Over the last eight years all our teams have received new locker rooms which is so important because these athletes spend so much time here. I also think projects like the Ginny L. Clements Academic Center are exciting. It's a resource for every single student-athlete we have and it's also a place for all of our student-athletes to unite and be together, and that's really special. You've overseen the hosting of some large scale sporting events such as NCAA Championships and Pac-12 Tournaments…do you have a favorite? Why? I do have a favorite—I love NCAA Softball. When you think about it, for the seniors on the team it may be the last time they ever play softball on that level. There aren't a lot of opportunities to play softball professionally. By the time the tournament comes, the seniors have just graduated and you can just tell how genuinely appreciative the players are to have the opportunity and to be out there playing. It's also a very congenial sport—there's so much respect between teams during those tournaments. If you weren't working in athletics, what do you think you'd be doing? I think I'd work in business, probably in the area of strategic operations. It's so important to have to have a job that makes you want to get up in the morning and go to work and I think a strategic planning type of position would be a good fit. Have you visited the Wildcat Club online store recently? Are you looking for some holiday gift giving ideas? Check out wildcat-store.com today! 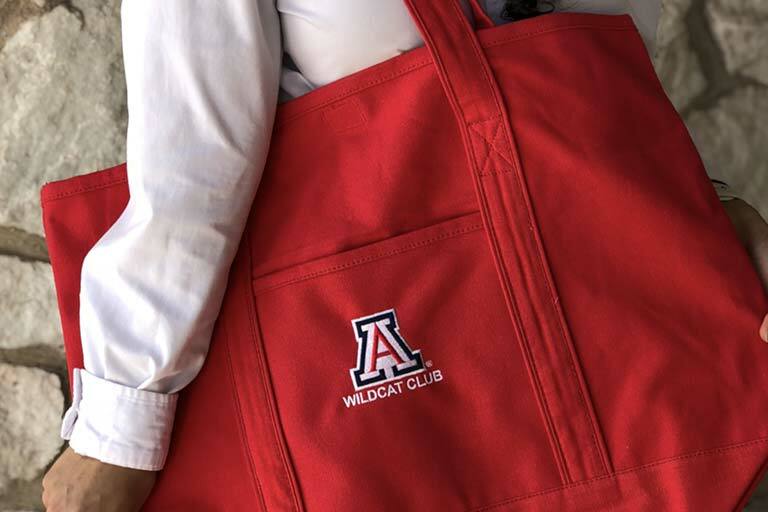 The Wildcat Club online store is exclusive to members and is the only place you can find Wildcat Club branded apparel and gifts such as the Wildcat Club large tote bag on sale now for $16.95 for a limited time! To view and order products, please click here and login with your Arizona Athletics username and password. 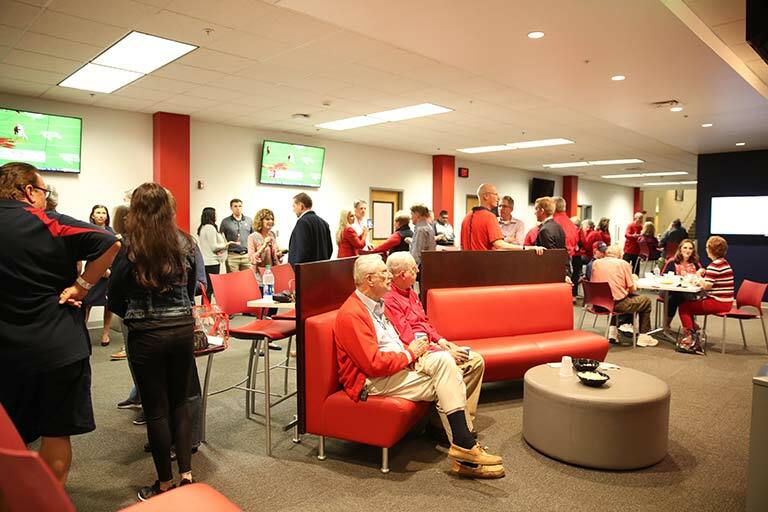 Last month Arizona Athletics began offering a new premium hospitality experience for the 2018-19 Men's Basketball season for Diamond and Platinum donors. The Courtside Lounge, located off the northeast corner of the court, is an exclusive hospitality area located on the ground floor of the arena. The Lounge features private access to expedited beer and wine service as well as food concessions, TVs, and bistro seating. Hospitality begins 90 minutes before tipoff and continues through the under-12 media timeout of the second half. For more information, click here. As 2018 winds down, we want to thank you for your continued support over the past year. Thanks to Wildcat Club members like you, our 500 student-athletes are able to live out their dreams and compete at the highest level. Last week we sent a special video message featuring our student-athletes expressing their gratitude. If you haven't had a chance to, check out the video now! To learn more about how you impact our student-athletes, click here. 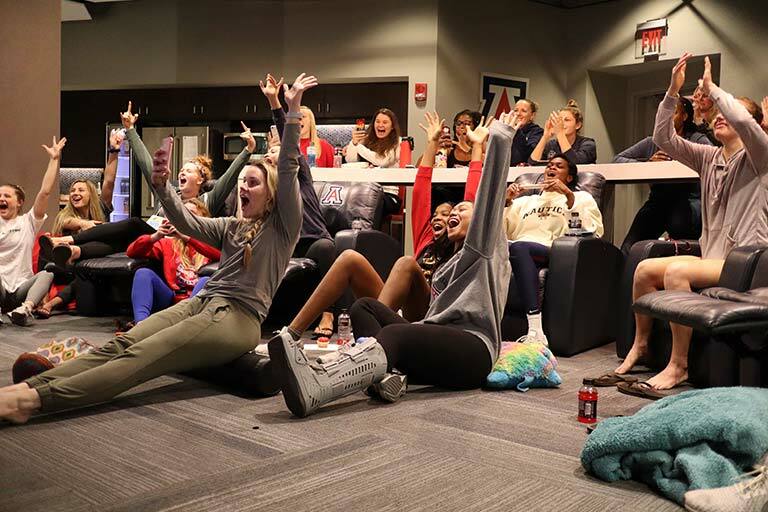 The Arizona Volleyball team is heading to the NCAA Tournament for the fifth time in six years. The Wildcats will take on the Missouri Tigers on Friday, November 30 at 3:30 MST. This will be Arizona Volleyball's 29th trip to the NCAA Tournament and the first time since advancing to the Sweet 16 in 2016. Congratulations to Coach Rubio and the team! Save the date for our Phoenix Suns vs Golden State Warriors event at Talking Stick Arena on February 8, 2019! This exclusive event will include a post-game "shoot around" and other fun. Be on the lookout for an email coming soon with further details.